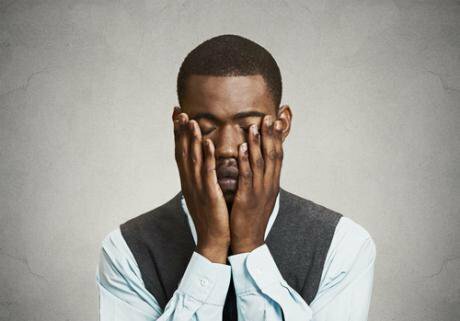 UK mental health service providers are still failing to deal with race and ethnicity. Mental health services are failing people from minority communities in the UK. Credit: Shutterstock. Before David 'Rocky' Bennett’s death in a psychiatric unit 18 years ago, he sent a letter to the nurse director, pointing out there were no black staff members. He wrote: “There are over half a dozen black boys in this clinic. I don’t know if you have realised that there are no Africans on your staff at the moment”. Bennett died while being held down by four staff members at a psychiatric unit after a violent altercation with another patient and a nurse. Looking at the circumstances around his untimely death, it’s clear his blackness was threatening to staff members. He had been using the mental health for at least a decade, yet his needs as a black Rastafarian were not being met. Bennett’s death was a catalyst for what became ‘delivering race equality’ in health, however the cuts since 2010 mean little is currently being done. He is just one example of the mental health system failing people of colour - Sarah Reed, who died in a prison cell earlier this year after having been sexually assaulted, is a more recent case, but the list is far, far longer. 61% of refugees are likely to experience a mental health crisis or breakdown. Most will have experienced trauma before their arrival in UK, forced to deal with a complicated, bureaucratic immigration system. Refugees face the challenges of restarting a new life in a new country, often without family members, dealing with culture shock and language issues. Understanding the culturally specific, underlying reasons for their mental ill health could lead to far better treatment. Minority communities who have been in the UK for several generations are also known to feel alienated from the health system. This means that often they do not feel comfortable in environments that are supposed to improve their mental health well being. Support is not always timely: reports show that black people are 40 times more likely than white Britons to come into contact with mental health services through the criminal justice system, rather than the general practice referral system. There is also evidence that ethnic minority communities are less likely to seek help at an early stage of illness, due to a combination of lack of knowledge and stigma around mental health. But this is not helped by inappropriate or racist models of diagnosis which often lead to poor experiences of mental health services, for example being medicated, restrained and going off radar upon release. It currently costs the NHS about £105 billion a year to deliver work on mental health. The NHS also has a specific plan for ‘equality and diversity’, following a catalogue of failures. But the continuing cut backs mean this plan is no longer being regarded as a priority. When it comes to mental health, providers still have little understanding of the nuances in the different cultures of minority ethnic groups. This means treatment that is offered by practitioners is ineffective and at a cost to the taxpayers. The methods used to diagnose mental health illnesses are western-centric, often rooted in a tradition of Freudianism. This means they do not work universally. Globalisation means we no longer have monocultures in British towns, but mental health systems don’t reflect this. Our mental health system needs decolonising, to fit with the communities that live here. For example, witchdoctors and prophets have been known to claim having powers to heal, transmit messages from gods or the dead to family or congregation. In some communities such people are held in high regard, but in others they are seen as delusional and therefore in need of medical intervention. The Race Equality Foundation found that black people are three times more likely to be diagnosed and admitted to hospital for schizophrenia. This, in turn, has been attributed to institutional racism or to a racialized definition of traits associated with schizophrenia. Gesticulating or talking loudly is often seen as threatening in western cultures but might be seen as normal, acceptable behaviour in non-western cultures. People have lost lives because of such misconceptions. Decolonising mental health would allow practitioners to have a better understanding of different communities. This can be achieved through cultural diversity awareness, as well as having a more diverse staff team as people learn about others informally. This would make the services more accessible because a lot of service users are put off by going into places where no one looks like them. It would also place less expectation on the NHS to be the only solution for mental health problems. Communities can look after their own and each other allowing them to practice, for example, the African concept of ‘ubuntu’. Ubuntu holds that humans feel human through affirmation from other humans and that is achieved through belonging, participating and sharing with others. The concept of lack of belonging and being ‘othered’ is one that most minorities say they struggle with. It has been argued for example that individualism in western societies can adversely affect someone who has migrated. Reinstating their qualities of Ubuntu instead of prescribing medication can improve someone’s mental health. An individual’s ability to have a choice of treatments that suit their cultural need would empower someone to feel like an agent and not a problem or victim. Looking into the underlying reasons for poor mental health within certain communities and working with the communities to address it would be far better and more cost effective than sectioning someone under the Mental Health Act for a period or several times. Medication should not be the only solution. Instead, working with individuals and families will allow for better understanding of conditions to allow people to make their own choices on what works best. Intersectionality has in recent years highlighted how multiple barriers can make certain individuals or communities more vulnerable than others. W.E.B Dubois spoke about double consciousness and the effect of internal conflict on an individual living as a minority in an alienating environment. To improve mental health treatment for ethnic minorities would require understanding racial disparities in treatment. This is an example of ‘equity’. Assuming everyone has similar health status and health care needs is a false starting point. People experiencing disadvantages mean equality in service is not enough. Equity in this case means patients not getting the same thing, but treating people differently having taken into account their different circumstances. Equity would mean that all sectors would work together to ensure individuals are not slipping through the net.